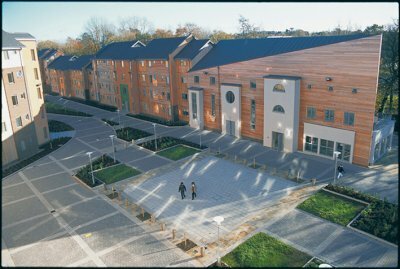 Dromroe Village is a student accommodation complex, arranged along each side of an open air plaza, or street. There are 11 blocks in all, varying in height from three to five-storeys. 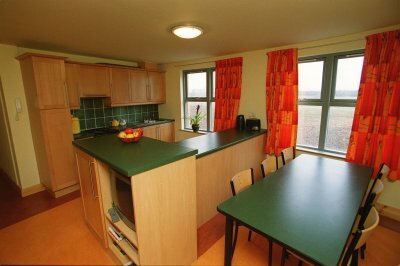 There are 480 bedrooms, all with bathrooms en-suite. These are typically arranged in apartments of 6 bedrooms. The complex also includes some retail units and a recreation building. The complex also offers a shop, self service launderette and a commercial unit. 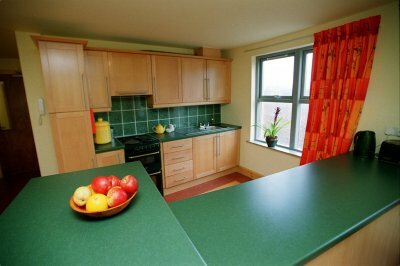 Located on the campus of the University of Limerick, it was the first of four student residential projects carried out by BMCC Construction on behalf of the University.